The country that consumes the most whiskey in the world is India. Indians consumed 1.5 billion litres of whiskey in 2014, completely dwarfing the United States' 462 million litres, according to a research note from Bank of America Merrill Lynch. 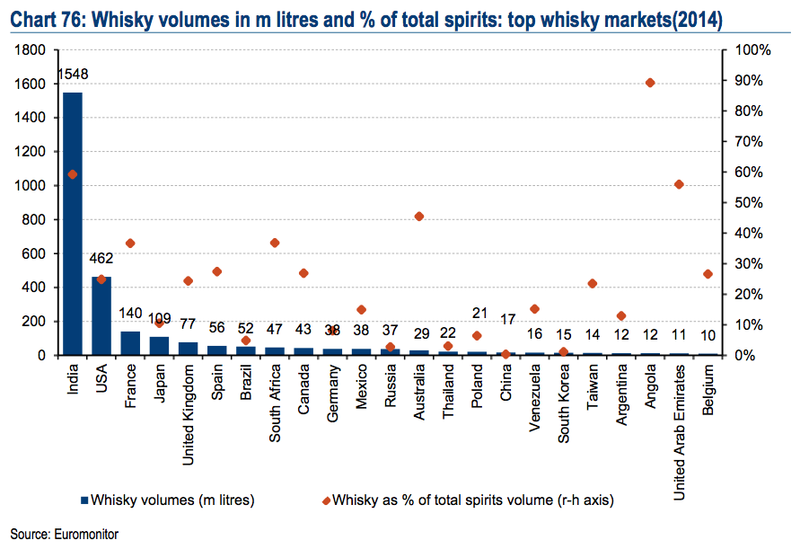 That works out to about a litre of whiskey per person in the Southasian nation. It's also worth noting that, in terms of percentage of total spirits consumed in each country, whiskey dominates in Angola at 90%.